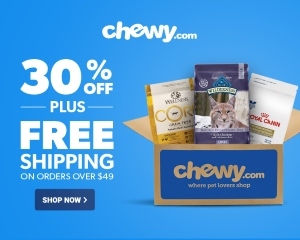 The Toybob cat is often referred to as one of the smallest of all cat breeds, and it is worth mentioning that the breed is not a miniaturized version of an established breed of cat. 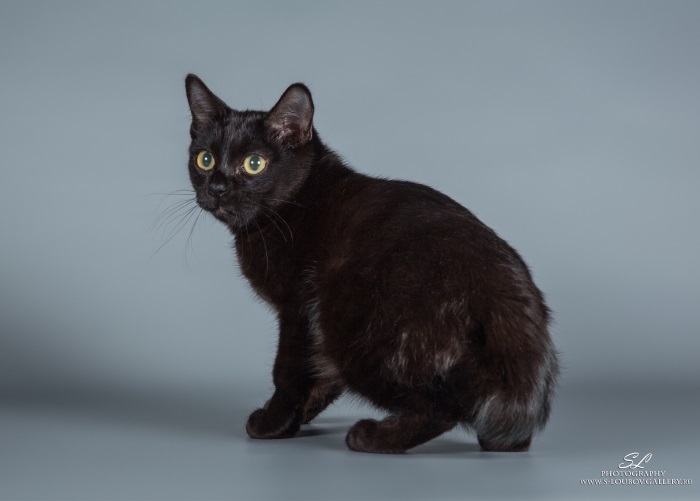 The breed is a naturally small to medium-sized (still well within the low range) bobbed tailed cat originated in Russia, and existing there for almost three decades. The Toybob is found in both a shorthair and longhair variety. The Toybob Shorthair is more common at this time as not all professional cat associations have yet approved the Longhair variety. The Toybob cat was first documented in the Rostov Region of Russia in 1983 when a Thai Bob (Mekong) breeder adopted a stray seal-point cat from outside her home. 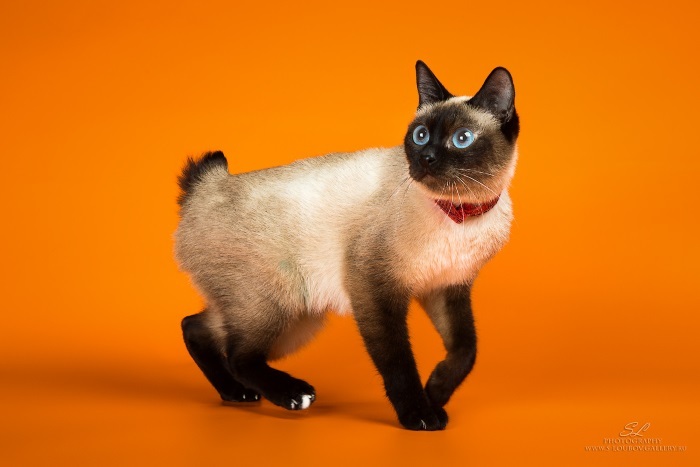 By her accounts, this cat looked very much like Traditional (Applehead) Siamese cat, except for its kinked bobbed tail. 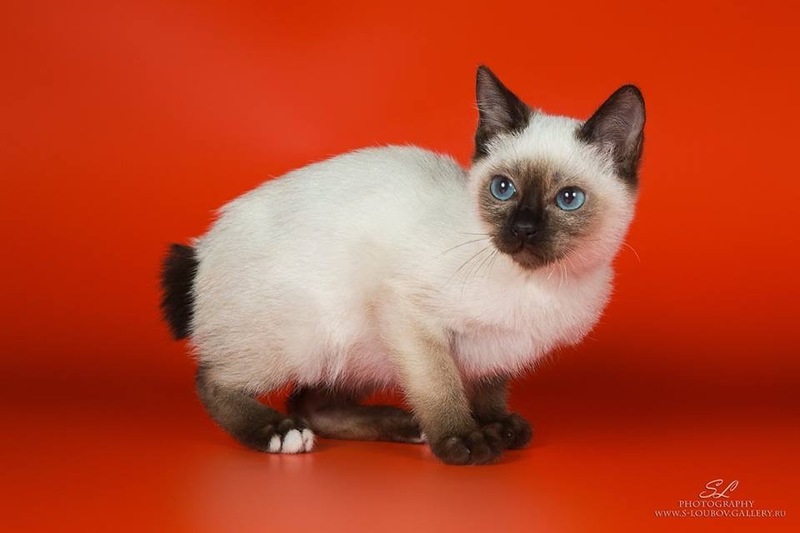 It later bred to a short-tailed seal-point female, and in 1988, the breeding of these two cats produced an unusually small bobbed tail kitten, named “Kutciy,” which became one of the foundation cats for the breed and called “Skif-Thai-Don” (also known in the longer form, Skif-Thai-Toy-Don). 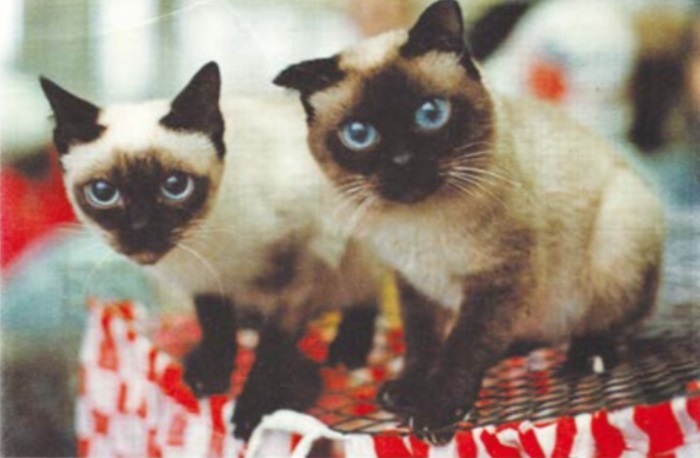 By the late 1990’s, the Toybob became scarce, and a breeder from the Urals of Russia, Alexis Abramchuk of Si-Savat cattery had begun to broaden the breed’s limited gene pool by adding Domestic cats. When Si-Savat discontinued their Toybob breeding program, local Ural breeder, Natalya Fedyaeva of Little Angel cattery, acquired from Abramchuk, a small male “Gavrila,” elsewhere, two females, all three from the Skif-Thai-Don line and began her restoration of the breed. Fedyaeva had observed that cats of very similar phenotype to the Toybob were spotted living locally around barns and streets in that region. Some of these native cats were also of small size with kinked tails or kinked bobbed tails but seen in colors and patterns other than seal-point. Fedyaeva along with other local breeders began to work on developing the Toybob cat’s initially small genetic pool by adding those found domestic cats as well as other similarly phenotyped breeds. These Ural bred Toybob cats were referred to as “Scyth Toybob” to differentiate them from the Skif-Thai-Don. In the past 30 years of the breed’s development, the Toybob has gone through much rope untangling to get it under one general breed name finally. The breed has been known under several different names and is a major component of its history. It was in 1994 when the breed name was suggested by Russian feline book author and WCF judge Dr. Olga Mironova to be given to all Toybob cats in development. The breed expanded internationally when in 2004 Ural (Scyth) Toybobs were imported to the United States, and four years later the cats entered Experimental status within The International Cat Association (TICA) under the general name, Toybob. In 2014, the majority of TICA registered Toybob breeders began to work in close cooperation, focusing on advancing the breed’s recognition. A year later the “International Toybob Cat Club” (ITCC) was formed; with the dedication to promote the breed worldwide, mentor new breeders and unify the Toybob standards across all Cat Fancy associations. Due to the ITCC’s efforts, the cat is now under one breed name, advanced within TICA (Registration Only) and is quickly gaining popularity across the world. The Toybob has full Championship status in its native country and Europe’s World Cat Federation (WCF) and working on achieving the same in the US. Currently, there are Toybob breeding programs all over Russia, Bulgaria, France, Spain, Sweden, United Kingdom, Denmark, Japan, Canada and all over the United States. The future looks very bright for these adorable little felines. The Toybob cat’s most unusual feature is it’s kinked bobbed tail and just like other known kinked bobbed tail breeds, the tail does not affect its agility or health. At the time the breed was registered with TICA, little to no genetic research had been done on the breed to learn more about the unique genes behind the Toybob cat’s anomalous small size and bobbed tail appearance. Leading to much speculation as to it having possible relations to other known bobtail breeds. In 2016, the International Toybob Cat Club (ITCC) decided to perform preliminary testing with geneticist and renowned feline expert Dr. Leslie A. Lyons to find any connection to other bobbed tail breeds (e.g., Japanese Bobtail and Manx) and it resulted in there being no direct relation to the Toybob. The breed also is not affected by any known genetic health conditions. Feline traits notwithstanding, the Toybob has all of the qualities one looks for in a companion cat. Toybobs thrive when they are with their people. The Toybob is best described as “The small cat with the big loving heart.” The Toybob is intelligent, good-natured, affectionate and sociable; making it easily get along with other friendly animals. They will be content to quietly follow you around and then sit in your lap for petting whenever you give it a chance. In general, the Toybob is a happy cat who gets along with everyone and is a playful, cuddly companion. Toybobs are very loving and devoted to their family, but they can have a natural shyness around new people. It’s not unusual for them to be little shy with strangers for the first few minutes until they warm up to them. The Toybob’s smaller size and gentle demeanor make them also great company for children, although supervised playtime is recommended for homes with very young children who might accidentally injure them. Toybobs are also seen to have very protective personalities, applying it either to their human family members or other pets at home. They often rush into split up fights or if someone is in need of help. Overall loving, charming and playful, the Toybob can be quite addictive. People who love the cat can’t imagine life without one, and many can’t imagine life without two or three. Their diminutive size makes a Toybob (or a few) great in an apartment setting. In fact, Toybobs long for companionship, so it is not recommended to have only one if left home alone for extended periods of time. Toybob overall health is rather robust due to the harsh environment from where the breed originated. Also, the continued use of native Russian Domestic cats in the breed development maintains excellent genetic diversity and good health. The breed has no known health or genetic problems and is known to be long-lived even past 15 years. Although a petite cat, the Toybob might surprise some as it carries nice sturdy weight to it for its overall small body. The short coat of the Toybob Shorthair is plush but easy to take care for, brush it once or twice a week to maintain its coat beautiful. Toybob Longair has a semi-long coat and does not mat or tangle and is easy to groom. As with the Shorthair, comb its coat once or twice a week to keep it in optimal condition. Both varieties are low shed, but the coat does change seasonally. Since her early childhood, Dr. Anna Gromova, DVM has owned many different types of animals as family pets, developing into a deep love for all animals and their well-being. Anna has been breeding the Toybob since 2010 and is the only breed at her “Bel-Moor’s” cattery in Yekaterinburg, Russia. Bel-Moor’s cattery is registered with TICA, CFF, ACFA, ICU, MFA, and WCF. Anna is a veterinarian surgeon and chief veterinarian at a large agricultural animal complex in Sverdlovsk Oblast, as well as assists residents with the professional care for their small animals and pets. Anna is a graduate of the Agrarian Ural State University where she also obtained specialization in breeding and genetics. 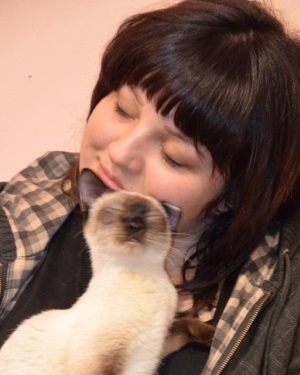 Anna’s spare time is now entirely dedicated and occupied with the passions of breeding, as well as promoting the Toybob breed across the Russian Cat Fancier associations and internationally.